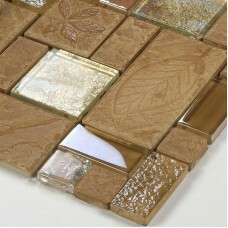 Sheet Size: 300x300mmChip Size: 23x23mm, 23x48mm, 48x48mm, 48x98mmThickness: 8mmShape: SquareUsage: Backsplash & WallColor: Brown and YellowSold by: SheetFinish: Glossy, easy..
silver plated porcelain mosaic tile silver crystal glass mosiac mirror wall tile bathroom backsplashes tile deco KLPT069 Chip size: 23x23,48x48mmThis mosaic tile is mesh mounted.. 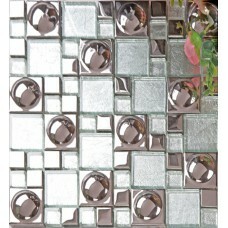 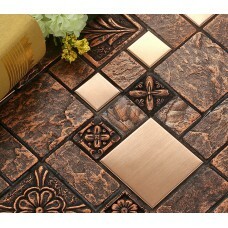 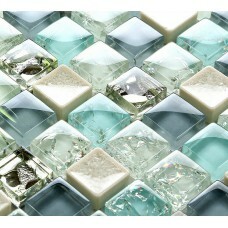 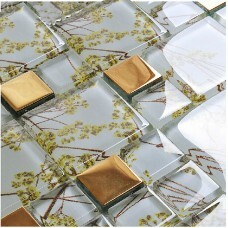 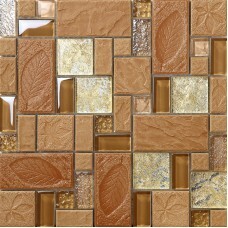 This glass mosaic is mesh mounted on high quality fiber glass, easy installation of any mosaic tile projects. 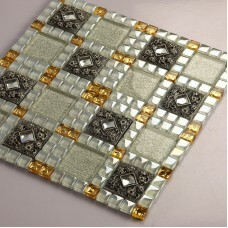 The mosaic tile has a zero water absorption rate, and this..
Sheet Size:300 x 300mm, Thickness:6mm, Collection:porcelain glass blend, Application:bathroom wall, kitchen backsplash, bedroom, Color / Finish:gold and grey,silver, Tile..
Chip size:15mm*15mm, 48mm*48mm, Sheet size:300mmx300mm, Thickness:8mm, Collection:glass mosaic tiles, Application:kitchen backsplash, bathroom, shower, Surface Finish:glossy, easy..